Okay, since I am the “book”babie here’s a quick roundup of some interesting book news that I’ve gathered from the vast webosphere for your perusal. Oscar Villalon, the book editor at The San Francisco Chronical did a piece on new books coming out this fall and he says the lineup is top notch. Bookreporter.com keeps a running list of books being made into movies. I know, I know, they’re never as good as the original books, then again I’ve read some so-so books that are better as movies! If you’ve burned through your summer reading list check out the Under The Radar post on Chasing Ray, there might be a hidden gem there you’d like. The Millions blog has a fun post for August 26th with links to books we can’t read (I just wish they’d fix that typo in the post heading! Edit: Max says it was a play on words as in objet d’art, duh, I get it now). Like Crime Fiction? 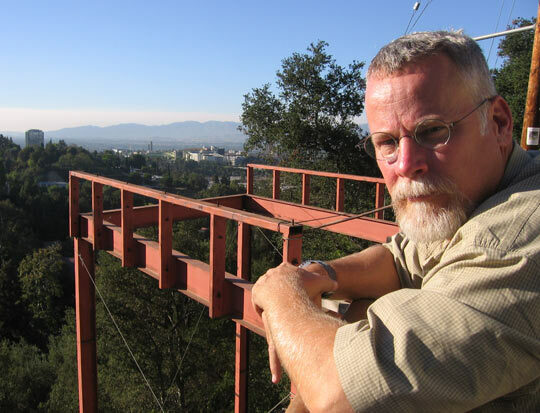 NPR has an excellent article and podcast about Micheal Connelly, one time beat reporter and crime writer who’s’ character of homicide detective Harry Bosch prowls the mean streets of L.A. This entry was posted in Books and tagged books, Reading by Lilli Day aka bookbabie. Bookmark the permalink. I just finished ‘City of bones’ last night, Harry bosch is a great character and it’s funny to read that Micheal Connelly started out as a reporter as he gives the media a really hard time in his novels. I guess he knows first hand all the dirty trick they employ to get a story.